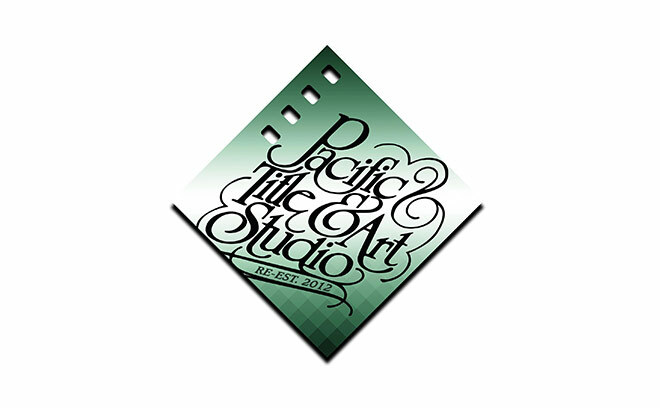 Pacific Title and Art Studio was founded in 1919 by Leon Schlesinger in Burbank, California to make title cards for silent movies, ultimately becoming an industry leader for about 90 years. Founder Leon Schlesinger (1884-1949) had worked in East Coast movie theaters in his youth, and later moved to Hollywood and worked as an animation artist at Warner Brothers. He established Pacific Title and Art in 1919 as a film titling lab, beginning with the landmark films of the Silent Era. As “talkies” gained popularity in the ’30s, the firm moved into general film editing, title design, and post-production work, beginning with Hollywood’s first talking picture, The Jazz Singer. The company quickly became a leader in the creation of feature film titles, contributing to legendary films like Gone with the Wind and Ben Hur. In 1935, Schlesinger sold the company to Larry Glickman, opting to focus on his animation studio instead. Under Glickman, the company flourished for decades as a provider of title design and optical effects for both film and television. The company was passed on to Larry Glickman’s daughter, Shirley Glickman Hubbard, who ran the company from 1982-1989. In 1978, the Hubbard family started Pacific Title Archives and developed it into a film storage facility. As the Digital Age arrived in the late ’80s, Pacific Title transformed to become a full-service digital post-production facility and by 1991, the company’s digital division was in production and they entered the visual effects industry. They also restored and preserved classics such as the Star Wars trilogy and 2001: A Space Odyssey. In 1997, PT&A was sold to technology company Safeguard Scientifics, Inc. After changing ownership again in 2007, the company ran into financial difficulty, ultimately going into receivership, closing its doors, and liquidating in 2009. The company, including the Pacific Title and Art name, logo, and proprietary technology, was then acquired by Phil Feiner. Feiner served as CEO of Pacific Title and Art for nearly 30 years and later owned PJF Productions, a boutique-sized production house. Pacific Title and Art Studio seems poised to grow once more, focusing on the same services it once provided.